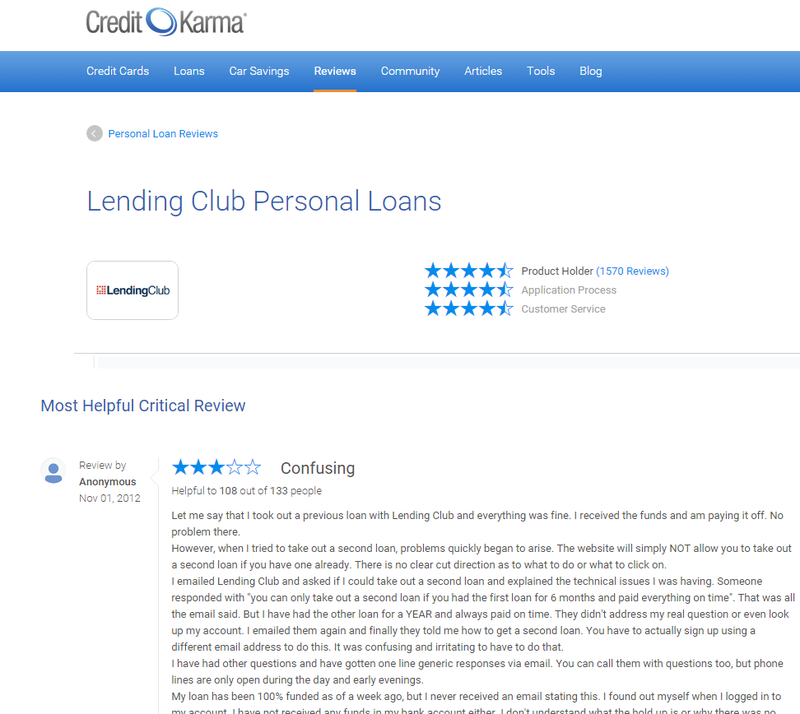 The web site Credit Karma hosts various lending-related content, including service reviews. 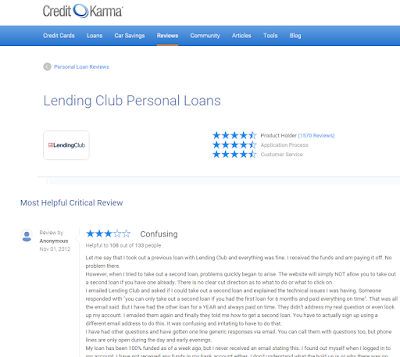 These reviews are hosted in the familiar style of Amazon's product reviews, including "Most Helpful Favorable," and "Most Helpful Critical" as well as enough volume for the reviews to seem credible. Since Amazon -- for now -- doesn't host financial service reviews, borrowers and other parties to financial transactions might benefit from reviewing the reviews. Tip: Service quality managers would do well to follow not only the reviews of their own services, but the reviews of competitive services. Weak hand-offs between web sites and customer service, confusing workflow, unexplained delays, and problems with web site navigation are common complaints. We regret to inform you that due to production shortages we were unable to deliver the following section of your NYT this morning. If we are able to obtain a replacement copy of this section, we will be more than happy to deliver it to you. Because you are a valued subscriber whose satisfaction is of the utmost import [sic] to us, we feel obliged to offer our apology for this inconvenience. If you should have any further questions, please call our customer service. 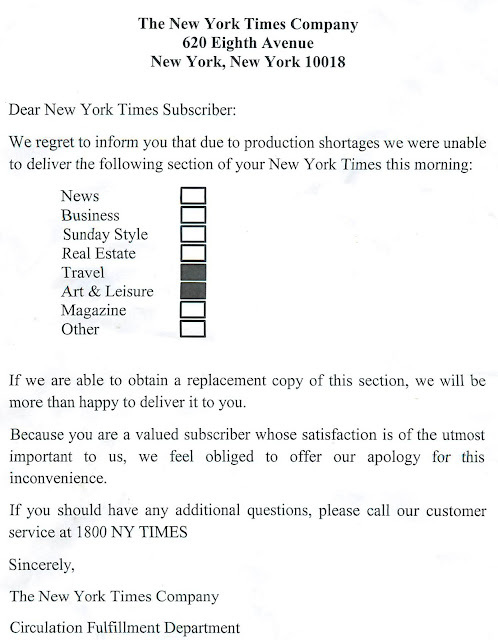 Sincerely, The New York Times Company Circulation Fulfillment Department. 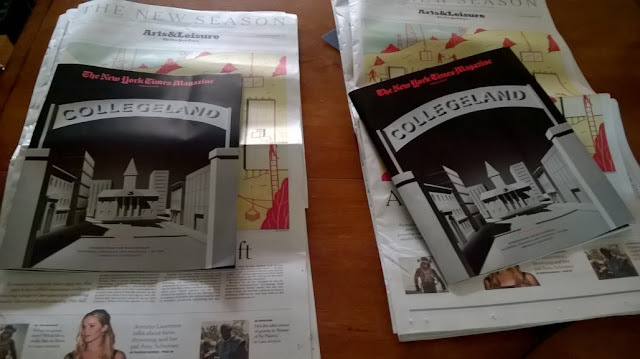 What appeared with the Sunday delivery was two copies of the Art and Leisure section, two copies of the magazine, but the other missing sections were not provided (or available?). See below. The agent was able to place a credit for the two missed papers (Saturday and Sunday), but had no further information as to cause from the Production side of the house. Question: Since the Company knew it could not deliver an intact paper, why was a credit not offered immediately? Question: The NYT has a full staff of editors and writers. Who is responsible for the clumsily worded "we feel obliged to offer our apology"? "Obliged"? Question: Was the problem caused by a supply chain failure? Software problem? Data problem? It's not mandatory that customers are informed of the problem, but it is helpful.